In 2015, The BDT Director launched the ITU Let's roam the world initiative to follow up on previous work in the area of international mobile roaming, and this ITU report is part of the work done under the initiative. 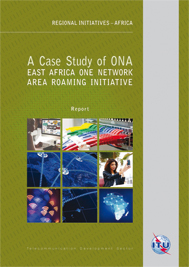 The ONA model is good example of a multi-country initiative for the creation of a harmonized enabling environment for the international mobile roaming market with the objective of enhancing affordable access to roaming services for both voice and data. It shows that despite price reductions, and the emergence of a range of alternative technologies and calling solutions, prices are still high, and actions are still being taken by ICT Regulatory Associations to make roaming affordable to all consumers. This report also illustrates the importance of having inclusive dialogue at national and regional level in defining appropriate solutions for business, regulation, and policy issues.